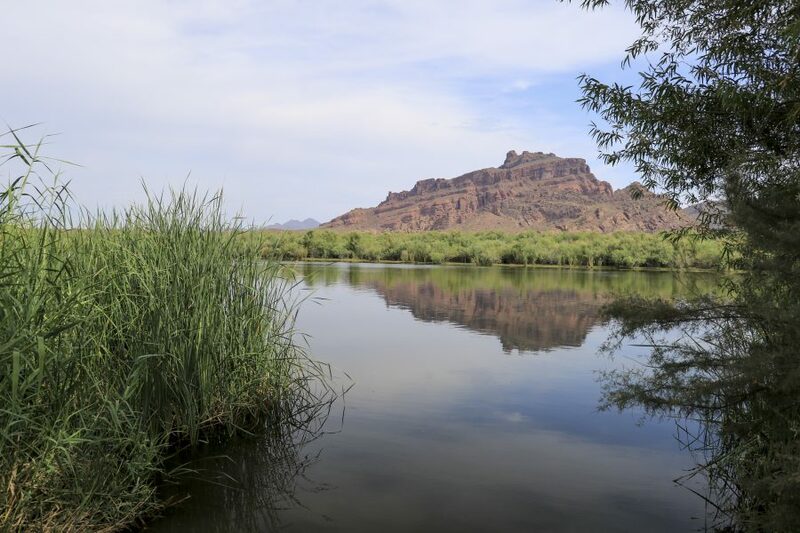 More than just a few deep rivers, Arizona offers large and spacious lakes. More than just a desert! Go out and paddle in Arizona. 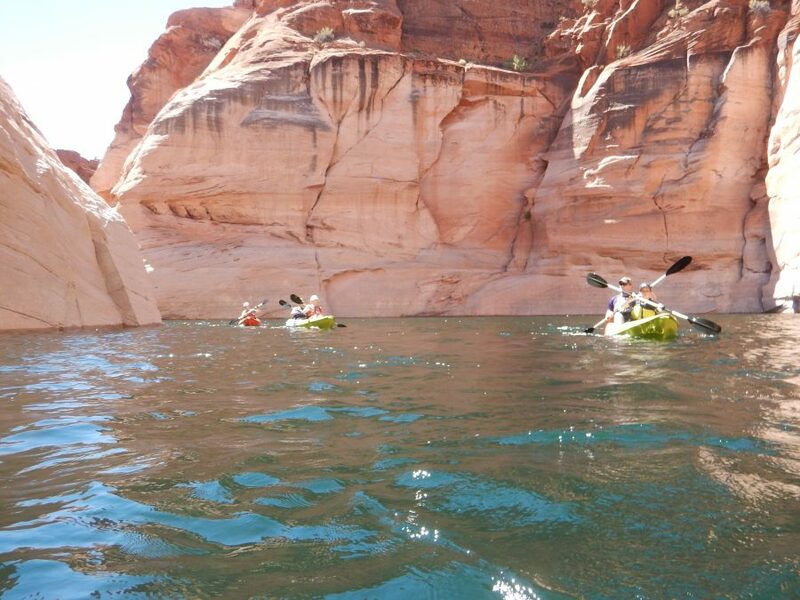 Kayaking in Arizona may not seem like a fantastic idea at first… until you realize that some mighty rivers pass through even places far away from The Grand Canyon. The Colorado River cuts through the state to make The Grand Canyon, and other smaller rivers create gorgeous mountain passes that you will be amazed by. 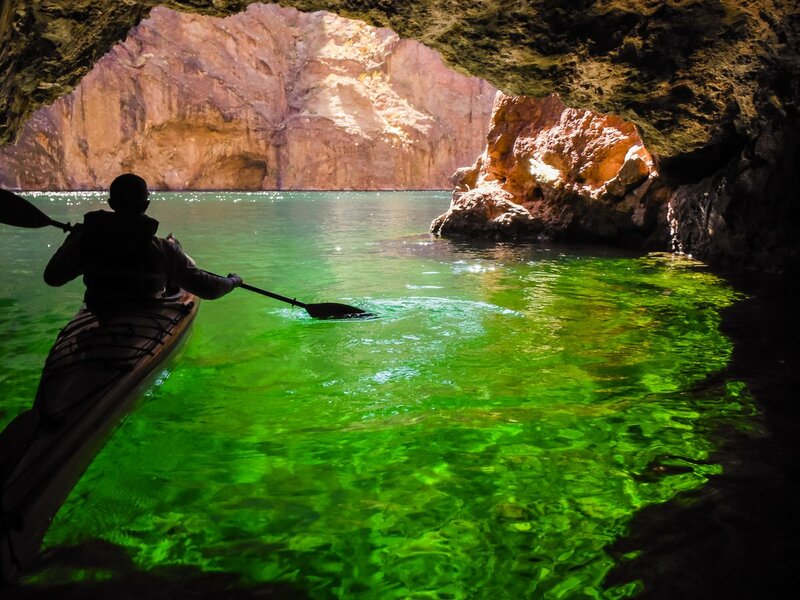 You must forget the desert for a moment as you take a paddle through Arizona that is both beautiful and brilliant. Blue Ridge Reservoir sits just south of Flagstaff in the midst of a gorgeous national forest, and you may come here just below Happy Jack to have a ride on the reservoir which stretches over a couple miles. You may ride here to simply survey the forests that sit on the edges of the area, and you may come here if you wish to hike or camp on the edges of the river as the kayak makes its way around the perimeter. The Blue Ridge reservoir is magnificent because it makes you feel the majesty of this area while helping remove you from the city that sits over an hour to the north. 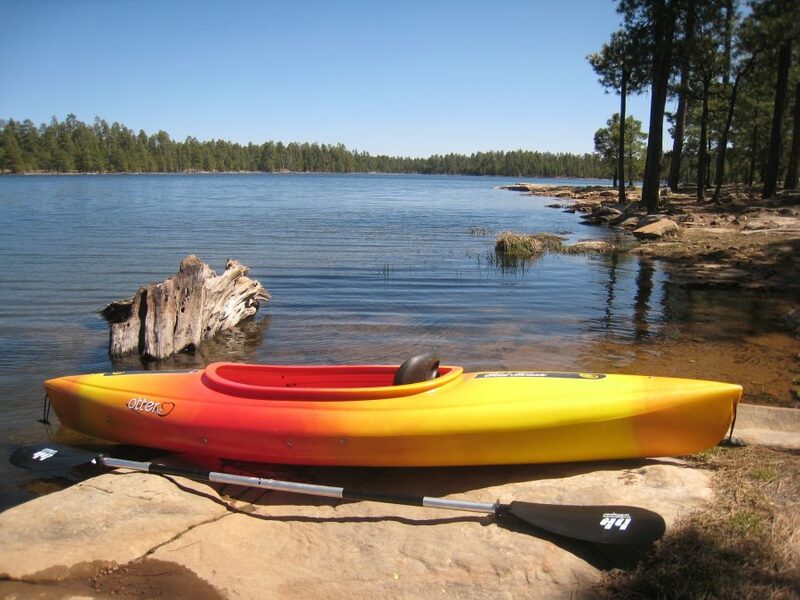 You may find that many places to kayak are in this region south of Flagstaff, and the reservoir is one of the simpler places to camp and kayak. 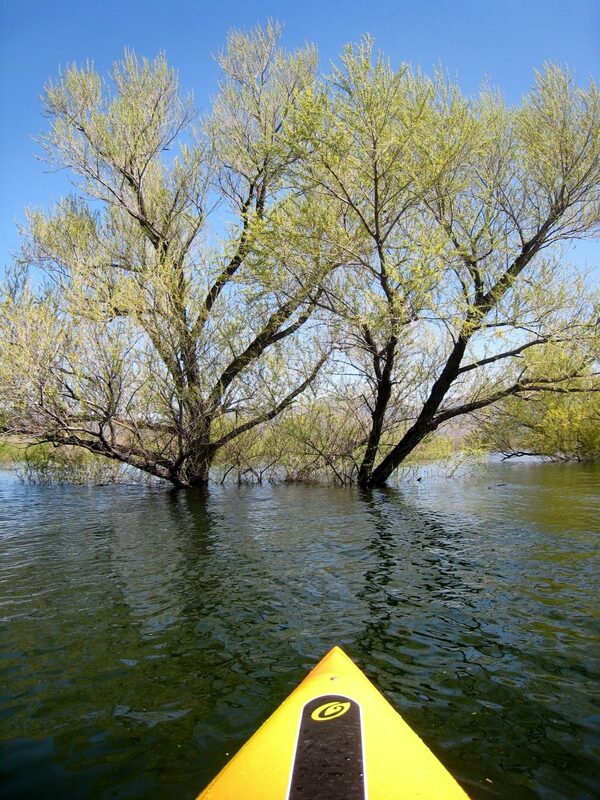 Consider going farther south as you find new places to kayak on this list. The Salt River sits northeast of Phoenix in the middle of a national forest, and it is a tributary of the Gila River. This river snakes through the forest for a couple hundred miles, and the upper portion of the river is quite exciting because the rock formations are much larger and more forbosing. You may may not pass through the whole river in one day especially because there are so many rapids. You must plan your trip around this river to last many days because you may kayak the upper river for quite a while before making your way to the lower part of the river and the river basin. There is a chance for you to complete this run at Lake Roosevelt, or you may come to the Lower Salt River for the smooth sailing at the end of your trip. 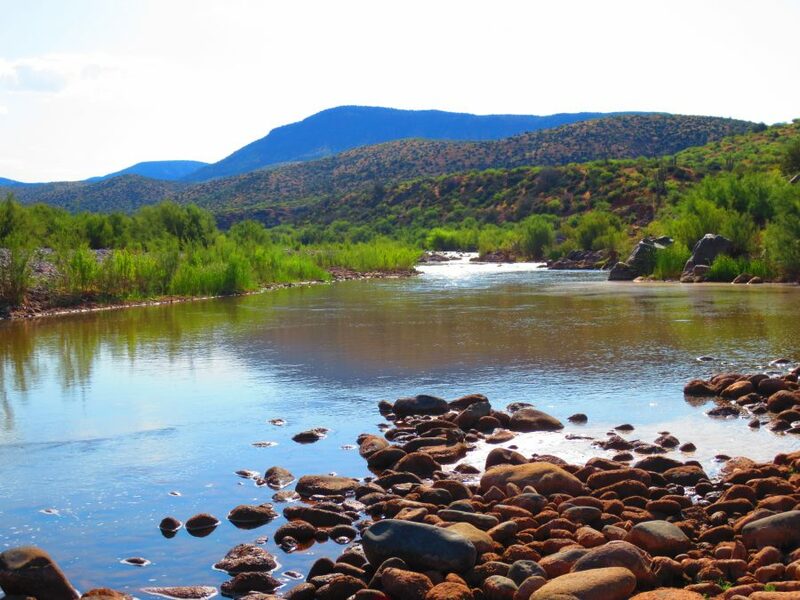 The Lower Salt River is a much more calm and meandering river that passes through a national forest in Arizona. The river is northeast of Phoenix, and you may drive and hour or more to get to different parts of the river. This river is exciting because it allows you to ride for quite a long time in comfort while the forests cover you on all sides. You may choose to camp on the banks of the river just as you would on the upper portions, but you have a much softer and safer ride here in the lower sections. The Lower Salt River ends up in Lake Roosevelt, and you may love this part of the river because it is so much calmer than normal. Knoll Lake sits in the lower portions of the Coconino National Forest, and it is fed by rivers in the area that may also be nice for kayaking. You may come to Knoll Lake because you have already spent time in the Blue Ridge Reservoir, but Knoll Lake is a different experience. Knoll Lake is a beautiful place that has natural rock formations on shore. You may choose to camp around the edges of this lake, or you may take some of the rivers and streams out of the lake to other parts of the forest. Knoll Lake is fairly tranquil, and it leads to other sleepy spots on the river. Knoll Lake has a wonderful location that you will enjoy because you need not go too far to get here. Traveling south of Flagstaff may be quite difficult because the forests are so large, but Knoll Lake catches your attention early in the trip. Woods Canyon Lake lies on the western edge of the Apache-Sitgreaves National Forest, and it exists in the same general area as the Blue Ridge Reservoir and Knoll Lake. This lake sits in the canyon as you would expect, and you have a view of some lovely higher elevations because of the location of the lake. Woods Canyon Lake offers you the same camping opportunities as the other locations on this list, but the views are often better because you have sunk into the canyon where the trees reveal may views of places that sit higher above you. You get many wonderful lovely pictures here, and you are falling into a place that leads you deeper into the forests of this part of the state. 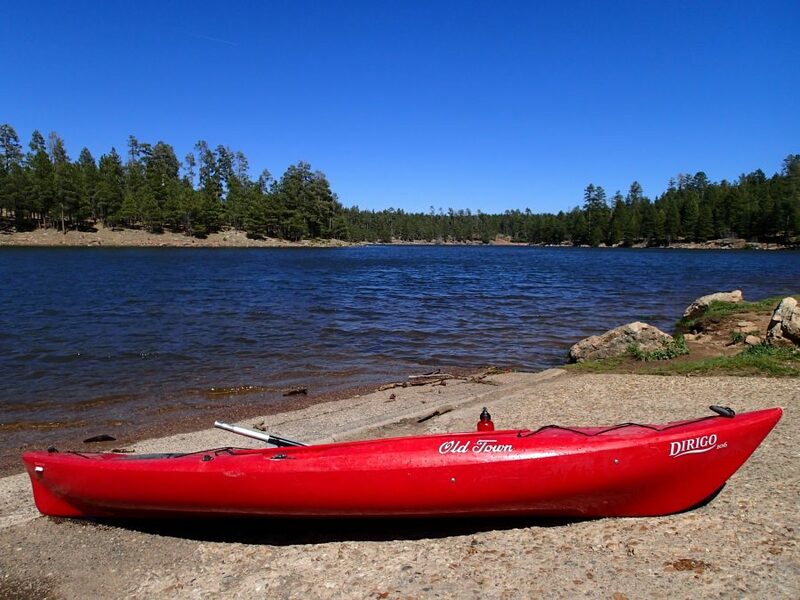 Willow Springs Lake is even further south of Flagstaff, and it is made in a hooked shape that provides you with many interesting adventures. You may choose this location because it could take days to explore the full perimeter of the lake. 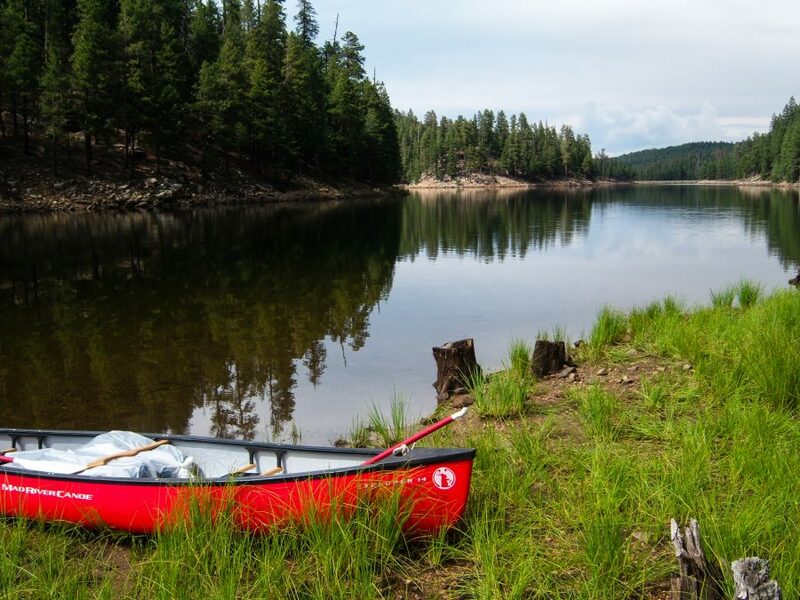 The lake has many camping areas, and you will find that the outer edges fo the Apache-Sitgreaves National Forest are even more remote and quiet. You must be committed to kayaking here because this place is so large. However, you may camp here every time you stop on the shore. The lake is surrounded by trees and the weather is actually quite temperate. Come to this lake because you want to see something that strikes your fancy, explore both sides of the lake because they are like two different worlds, and remember that you may travel even deeper into the forests if you like. Black Canyon Lake sits on the far southern edge of the Apache-Sitgreaves National forest, and it punches even farther to the edge of the forest where the high plains and deserts begin. Black Canyon Lake does sit in the Black Canyon where the tree cover is extremely heavy. There is a wonderful location on the north end of the lake called Hangman’s Dra that you want pictures of, and it is quite a lot of fun to trail the edge of the lake because you will see so many different animals out here. Black Canyon Lake may be a part of a much longer trip that takes you farther and farther into the forest where you will see all the beauty that is Arizona. You are investing in a location that allows you to camp in complete comfort, and you are so far away from the mother end of the forest that you may not see nearly as many people here. Bear Canyon Lake sits a bit higher in the Coconino National Forest, and the shape of this make makes it more of a straight shot than a lake that you circle. You may choose a location on this lake that you believe is best for hiking or camping, and you may kayak its full length if you want to have an adventure that leads you down into some lower elevations. Ensure that you have tried Bear Canyon Lake when you want a place that is easy to cross because it is not too wide. You may go out on the lake every day to fish or simply to take in the sights, and it is quite simple to get back to the shore at the end of your ride. Lake Roosevelt was created as part of a dam project on the Salt River, and it is quite flat and tranquil for most of this year. You may see the mirrored reflections off the river when floating during the day, and the lake has a nice oblong shape that allows you to explore the edge of the lake for days at a time. You are northeast of Gilbert and not that far away from civlization when coming to Lake Roosevelt. This is a wonderful camping location for the family, it may be a part of a much longer Salt River journey up and down this national forest. Arizona is one of the most beautiful places in the world as it mixes canyons, reservoirs, and lakes to make the most wonderful kayaking spots. You will fall in love with this state as you kayak through each location on this list. You may not have known how lovely this state could be, but you will find that is captures your attention when your kayak rests on calm lake waters or rushes down a river made just for the occasion. You may camp on the edges of these lakes, or you may choose to hike around the lake when you are not kayaking. These lakes all provide you with wonderful vacations, and you may choose to venture through massive national forests or down long rivers to get to where you want to go. 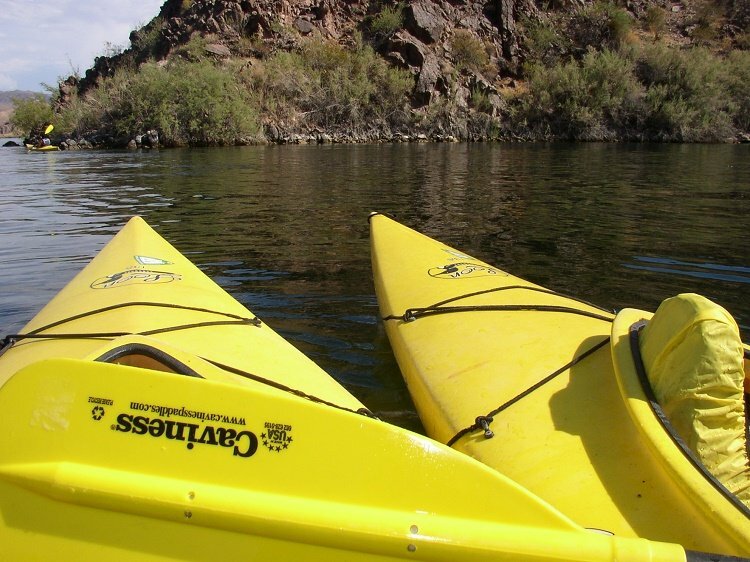 Arizona has this wonderful kayaking culture that you must discover for yourself. Want to know when we add new paddle spots?